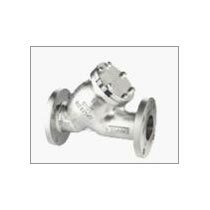 We have a strong foothold as Importer and Supplier of Y – Strainers in Karnataka, India. Our procurement team deeply analyzes the Strainers before actually sourcing them. They are compact in design, sturdy in construction, inexpensive and assure long service life. In order to meet variegated demands of our buyers, we make them available in ample of specifications. Be it small order or bulk, we believe in punctual deliveries without any delays.